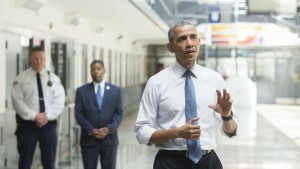 The long-range goals of the juvenile justice program are to promote neuroscientific research that may elucidate the adolescent brain, to establish an effective resource for the translation of new neuroscientific findings that may have implications for juvenile justice to the policy arena, and to realize changes in juvenile criminal law and treatment that accurately reflect the science. The question of what constitutes responsible and legal behavior in children and adolescents is an issue with important philosophical, scientific, social, ethical, and practical considerations. A wider and better-translated neuroscientific understanding of the adolescent brain has the potential to help inform and transform how we respond to juveniles who offend, for their benefit and to reduce recidivism. A series of recent landmark cases in the U.S. Supreme Court has evolved to change our legal responses to juvenile offending. They have abolished the death penalty for crimes committed during adolescence, found mandatory life-without-parole sentences for murder in violation of the 8th Amendment, and eliminated life-without-parole sentences for crimes less than murder. 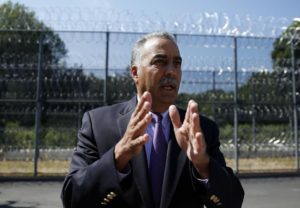 In Massachusetts, life sentences for juveniles were ruled unconstitutional, and the review of cases in which those sentences were given in the past has already begun. 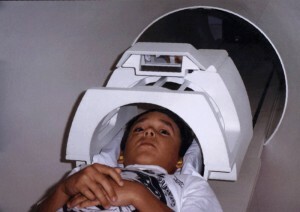 A significant part of the argument for these decisions included an understanding of adolescent brain development. While society’s attitudes will ultimately dictate the shape of law, science can be used to confirm and dispel common ideas about teenage behavior to forge a more scientifically sound and financially viable system for adolescent reform. Scientists know that the adolescent brain is still developing, that it is highly subject to reward- and peer-influence, and that its rate of development varies widely across the population. They have developed basic tools that offer data with which to judge the potential for juvenile desistance, recidivism, and rehabilitation. With its ability to examine the workings of the teenage brain, neuroscience is improving our understanding of adolescents, and potentially, juvenile offenders. 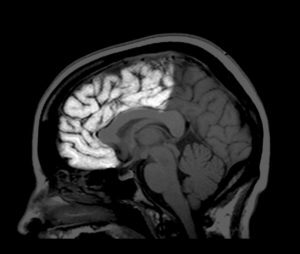 Through their window into the brain, neuroscientists understand, for example, that adolescents mature at markedly varied rates. The presumed trajectory of brain development, demonstrated in existing “bright line” age cut offs for voting, military service, and drinking, however, is not reflective of this variability in brain maturity. Similarly, neuroimaging research by CLBB faculty (Somerville, 2010) clarifies that it is teenagers’ heightened vulnerability to reward that drives risky behavior, contrary to longstanding beliefs that teenagers are unable to gauge risks. They can often recognize risks, but incomplete development of brain mechanisms related to modulation of impulsive behavior reduces their tendency to heed those risks. Science may also help us understand which juvenile offenders are likely to commit future crimes and which may not. A longitudinal study, “Pathways to Desistance” (Mulvey, 2011), has collected significant data on factors such as substance abuse and instability in daily routine that lead to youth recidivism. The seminal paper, “Rewiring juvenile justice: the intersection of development neuroscience and legal policy” (Cohen and Casey, 2014), elucidates how key new scientific findings about the development of the adolescent brain may inform policy. HOW CAN THE LAW REFLECT WHAT WE KNOW ABOUT THE BRAIN? Scientists and clinicians interested in the practical application of neuroscience have created a substantive body of work that should inform juvenile justice policy. The MacArthur Foundation Research Network on Adolescent Development and Juvenile Justice established and expanded the knowledge base on adolescents and crime, and dissemination of that knowledge to juvenile justice practitioners and policy-makers has played a critical role in policy change. Organizations like the National Conference of State Legislatures have summarized research for application to law, such as “bright line” age limits. 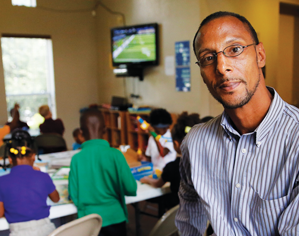 Nonprofit groups such as the Juvenile Law Center use brain science research to produce recommendations for the improvement of the juvenile justice system. Models for Change, a multi-state initiative relying on a network of court officials, legal advocates, and researchers, produces research-based tools and techniques to make juvenile justice systems more fair, effective, rational, and developmentally appropriate. Other scientific groups, including the American Association for the Advancement of Science, are examining juvenile justice through their existing brain science lens. And the National Academy of Science’s National Research Council recent report, “Reforming Juvenile Justice,” collates all recent research to promote a developmental agenda for juvenile justice in the future. Researchers have taken to the popular press, as well, to advance a developmentally appropriate juvenile justice system in the areas of prevention and treatment. Op-eds such as “Why teenagers act crazy” and “Friends can be dangerous” (both New York Times, 2014) seek to communicate understandings about the brain to the public to protect adolescent development and prevent adolescent crime. Other pieces, including “How solitary confinement hurts the teenage brain” (The Atlantic, 2014); The “Prisoners of profit” series (Huffington Post, 2013) and “Locking up kids for life” (Boston Globe, 2014), by Harvard Law School Professor and CLBB faculty Nancy Gertner, all seek to address imminent legal- and treatment- related issues within the juvenile justice system. 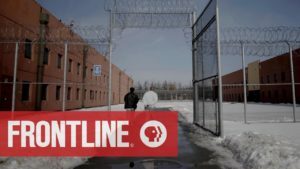 As part of PBS’s Brains on Trial programming with Alan Alda (2013), CLBB co-director Judith Edersheim and CLBB faculty member Gene Beresin authored important commentary on teens and criminal responsibility, mental health services for youth in detention, assessing violence risk in kids, and the workings of the adolescent brain. 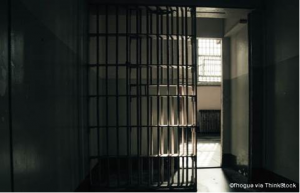 Even prominent voices like the New York Times editorial board have taken strong stands on social issues where the science is clear, such as juvenile solitary confinement reform (2014). While the science has advanced a general understanding of normal youth development, gaps remain in a thorough neuroscientific, genetic, and epigenetic understanding of adolescent development and the factors that drive juvenile offending. Meanwhile, the legal system urgently lacks a nuanced conception of adolescent brain development as it is currently understood, and an effective use of data and assessment tools that would drive systematic change. CLBB contributes to the improvement of juvenile justice by engaging in activities that translate neuroscience through original research and expert engagement with the public. With support from the Harvard Society for Mind-Brain-Behavior, CLBB has convened a Faculty Working Group to catalyze the development of a rich, interdisciplinary program of education, outreach, research, and policy work. The Juvenile Justice Faculty Working Group brings together experts on the adolescent brain and criminal justice to respond to key scientific, ethical and legal issues at their intersections. CLBB Faculty and working group members include adolescent brain researchers Leah Somerville, PhD and Margaret Sheridan, PhD, adolescent psychiatrist Gene Beresin, MD, and juvenile offender evaluation and juvenile justice policy experts Thomas Grisso, PhD, Robert Kinscherff, PhD, Esq., and Gina Vincent, PhD. Addressing crucial scientific questions, such as gaps in the science of adolescent brain development, as well as important issues in treatment, policy, and the law, this group of experts aims to produce both public-facing and law- and science-specific resources to advance a more scientifically sound criminal justice system for juveniles. The group culminated its first year with a public Symposium, “Juvenile Justice & the Adolescent Brain: Is Healthy Neurodevelopment a Civil Right?” on March 12, 2015 at Harvard Medical School. Watch complete event video here.